GPM Medicare Supplement Plans are Medigap plans offered by the company Government Personnel Mutual. It is one of many top Medicare supplement companies that we carry to serve you. Here, we'll take a look at the Medicare Supplement Plans from GPM Life. If you would like to speak to us for a personal review call 844-528-8688. Keep reading for details about Medicare Supplement Plans from GPM. It's important for consumers to know who they are doing business with, especially when it comes to something as important as health insurance. Certainly, the price is important, but without outstanding support for the product and the ability to pay claims on a timely basis, the consumer could end up with a cheap nightmare. For this reason, we will always share with our prospective clients what we know about each Medicare supplement provider we represent. GPM Life, formally established as Government Personnel Life Insurance Company, was established 84 years ago in 1934. This time period is well known for the two major wars that cost a lot of American lives and financially devastated countless families. During that time in America, GPM’s founder, Peter Hennessey, who was a retired Army Colonel, discovered that life insurance policies which were issued during that time period typically excluded claims that were the result of the war. In fact, many people who purchased life insurance policies to cover themselves or a family member were unaware of the act of war exclusion contained in the policies. When Colonel Hennessey was made aware of the situation he approached many of the national insurers about the exclusion and none were willing to offer the coverage for death resulting from war. Realizing that many American families were affected by this lack of coverage, Colonel Hennessey decided to establish a new life insurance company that would offer coverage for men and women if they were killed during the war. It’s important to note that GPM Life is a mutual insurance company which means the company is owned by its policyholders rather than public stockholders and they do not share profits with or report to shareholders. Policyholders of GPM Medicare Supplement Plans annually share in the profits of the company through dividends. The company enjoys their rating of A- (Excellent) from A.M. Best rating services which indicate they have an excellent ability to meet their ongoing obligations for paying claims and operating expenses. All of their products are considered top-quality, competitively priced, and supported by outstanding customer service. For the purpose of this article, we will discuss the GPM Medicare Supplement Plans offered by GPM Life. Medicare Supplement Insurance Plan A is considered a basic plan and offers low premiums for the coverage it provides. Plan A provides coverage for the coinsurance requirement in Medicare Part A (hospital expenses) and provides an additional 365 days of lifetime coverage after Medicare Part A benefits have been exhausted. 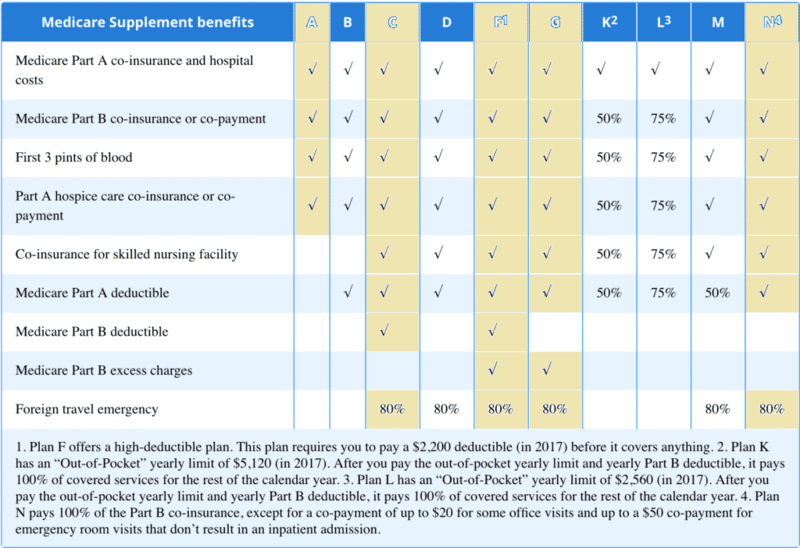 Plan A also takes care of the coinsurance and copay requirements that are associated with Medicare Part B (outpatient benefits). It will also cover the costs of the first three pints of blood and then Medicare will cover additional pints if needed. Plan A also takes care of the copay and coinsurance required by Medicare Part A for Hospice care. Please note that GPM Medicare Supplement Plan A does not provide coverage for the coinsurance required for skilled nursing facility, Medicare Part A or Part B deductibles, Part B excess charges, or foreign travel emergency. 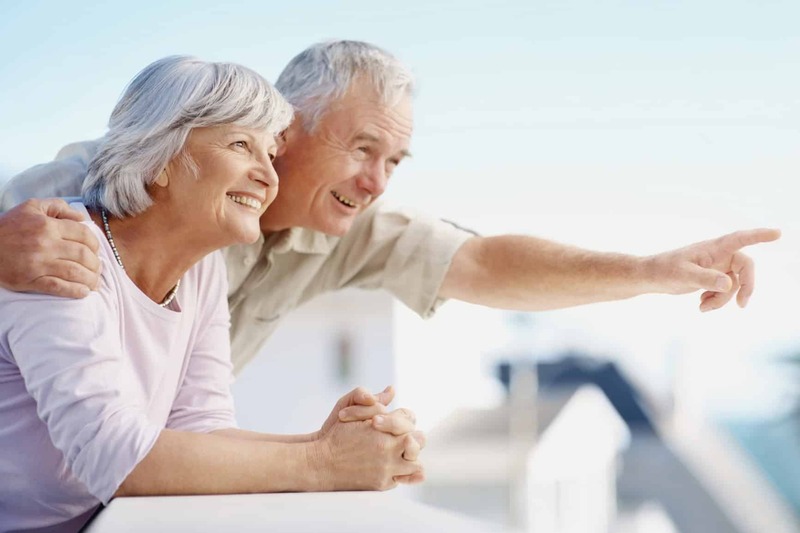 Medicare Supplemental Insurance Plan C offers all of the coverage of Plan A plus several additional coverage's such as the skilled nursing facility coinsurance, Medicare Part A, and Part B deductibles, and 80% of foreign travel emergency expenses. Medicare Supplement Insurance Plan F is considered the most comprehensive of all the plans currently available. It will cover all of the deductibles, coinsurance, copay, and excess charge gaps found in Medicare Part A and Part B. This allows you to see any physician or medical facility that accepts Medicare without having to be concerned about out-of-pocket healthcare expenses for covered services. The GPM Medicare Supplement Plan G is gaining in popularity because it provides all of the coverages offered in Plan F except for covering the Medicare Part B deductible. Since Plan G is gaining in popularity and has only a little less coverage than Plan F the monthly premiums tend to be lower as a result. VIEW Plan G Quotes ONLINE! Medicare Supplement Plan N is now trending as the third most popular Medicare Supplement plan. Since Plan N offers the lowest premiums compared go Plan F and G I.S. consumers are beginning to find what they give up in coverage they more than make up for in lower monthly premiums. Plan N offers the same coverage as plan F except for the Medicare Part B deductible or copayments for doctor and emergency room visits. VIEW Plan N Quotes ONLINE! Since Medicare controls the coverages in each plan that private insurance companies are allowed to offer, every insurer must offer the same core benefits in the plans they decide to offer. The difference between insurers is going to boil down to pricing, extra benefits, and customer service. We certainly urge all prospective customers to learn which companies stand out in the crowd when it comes to pricing, extra benefits, and customer service so that you can make an informed decision about which company and which plan will best meet your needs and your budget. GPM Medicare supplement plans are a great choice for many people. For more details call 844-528-8688 or email us from our contact us page.